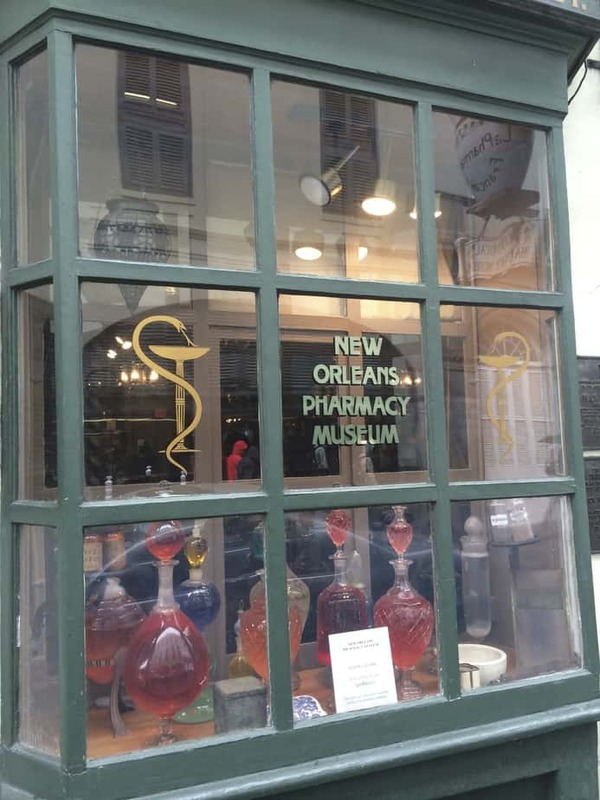 My sister and I took a trip to New Orleans over the winter holidays and lucky me to stumble across this gem of a museum. Now I’m already a bit of a museum buff, I like the chance to sit with things and ponder their significance in our world, so combine that with bottles and bits and herbs and potions and it’s almost too much! GROW A ROW for the HERBALISTA FREE CLINIC! 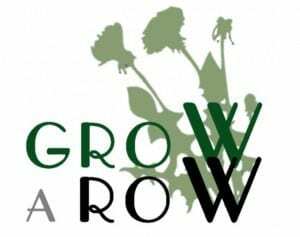 Together with the Funny Farm of Stone Mountain, we are excited to share the launch of our new project — Grow a Row! Our Goal – To supply the Herbalista Free Clinic with locally and sustainably grown herbs by enlisting and supporting our local farmers in our Grow a Row Project. We hope that this will not only bring more herbal medicine to the people of our community, but will help develop a market for locally grown medicinal herbs! •Medicinal uses and recipes for each herb. Join us at the Grow a Row Groundbreak! Email to reserve your spot. Join other farmers and urban gardeners with an interest in medicinal herb growing. We will review our 9 herbs in depth, including growing tips and medicinal applications. These are herbs that the Herbalista Free Clinic uses in abundance and have practical applications for even the kitchen herbalist! Choose your herb and receive the seeds to Grow a Row! Last week, when getting ready for our annual Foot Clinic Holiday Fiesta I put together around 30 aromatic inhalers to put in our winter care gift bags. 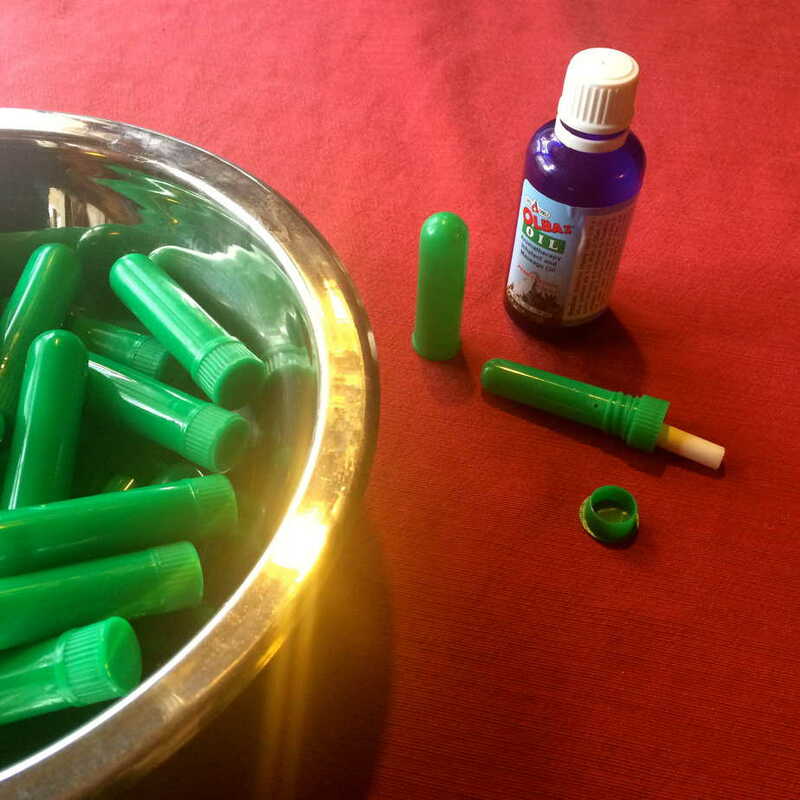 We dispense a lot of aromatic inhalers, aka sniffers, on our Herb Bus rounds. They are useful for so many ailments and cheap and easy to make. You can order the blank inhalers from most any essential oil supplier these days. I order packs of 100 in the most lovely of greens from Aromatics International. These particular inhalers were simply 9 drops of Olbas oil (an essential oil blend of peppermint, eucalyptus, wintergreen, juniper and clove) dropped onto the cotton insert. We often dispense these sniffers from the bus to folks suffering from sinus congestion and find they reliably provide relief. The blend has a pleasant smell and is also generally uplifting and energizing. 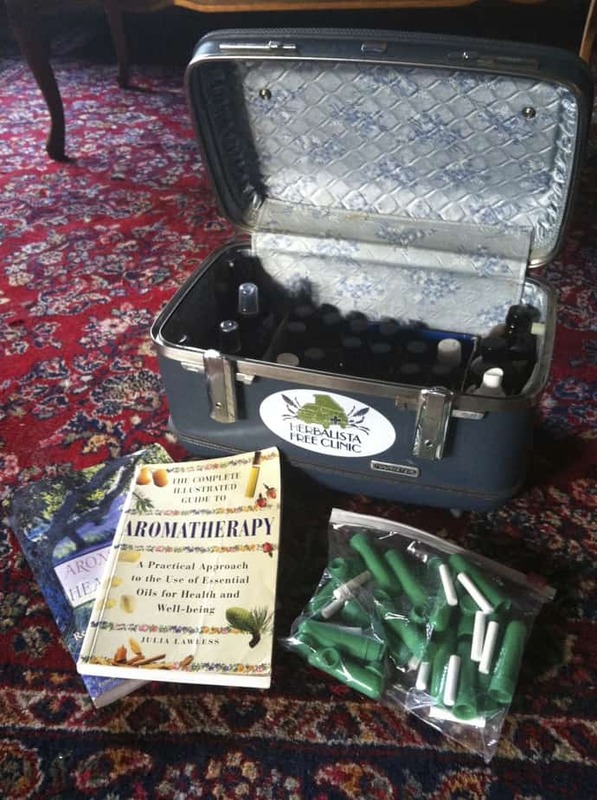 This is a photo of our Aromatic Oils Kit, that travels with us on the Bus. In it we stock around 20 different essential oils, a bag of blank inhalers, and a few other preparations (such as herb-infused oils and aromatic waters.) We custom blend inhalers for a variety of issues. Beyond the straightforward such as resolving congestion, essential oils also provide tremendous emotional support. They are useful tools when dealing with a range of feelings from grief to anxiety to addiction. 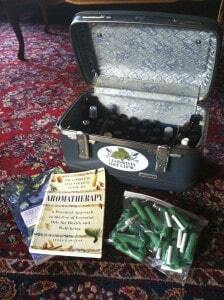 One of my favorite books that I often refer to when putting together an aromatic remedy is Aromatherapy for Healing the Spirit by Gabriel Mojay, a wonderful acupuncturist, aromatherapist, and teacher who travels over the pond from England to visit us here in Atlanta from time to time. Aromatic inhalers are not only effective, cheap, easy, and convenient– they are a journey for the senses. Update: Here is another post on sniffers with a few blends to support the J-20 Defendants. 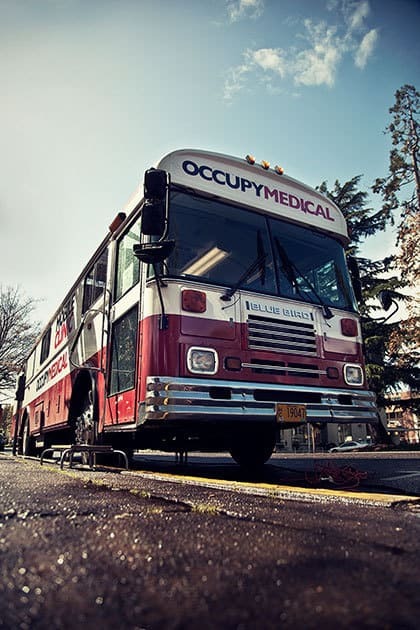 Congratulations to Occupy Medical Eugene! It was an honor to be asked to present this year’s AHG Community Service Award to this group of dedicated healthcare workers. 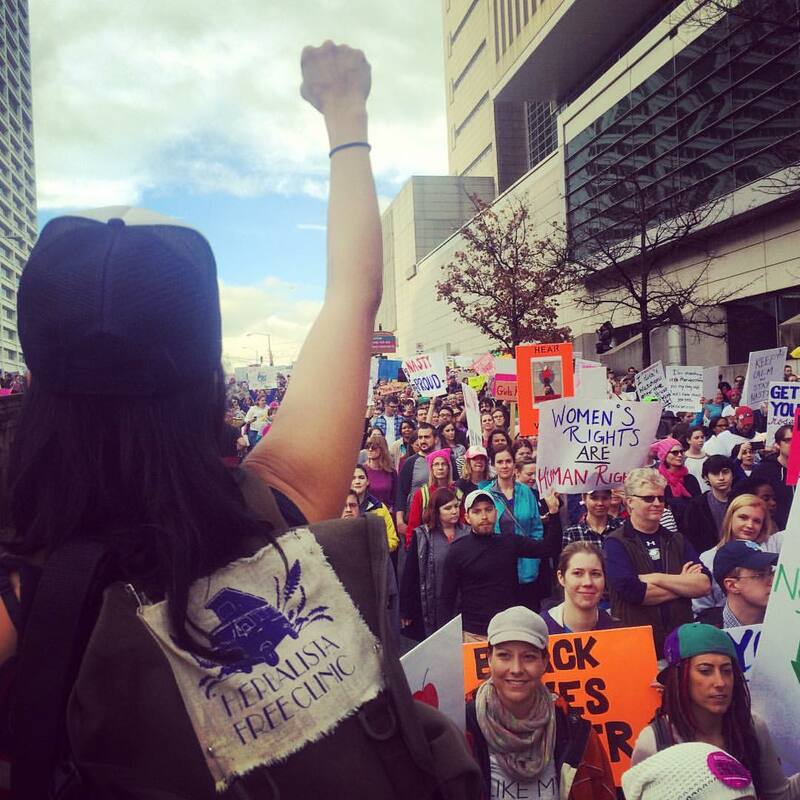 Born of the Occupy Movement, they continue to offer practical, alternative solutions to the current medical structure that neglects the poor and denies even the affluent, access to integrative and holistic treatment options. 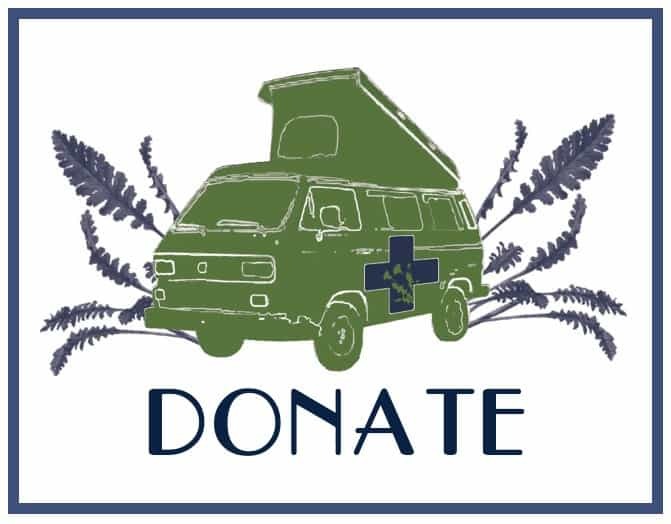 Occupy Medical offers no-cost, high quality, integrative medical services each and every Sunday on the streets of Eugene, Oregon. They put their love and respect for humanity into action. We are humbled by their service, inspired by their vision, and well, let’s just say, we have something of bus crush. 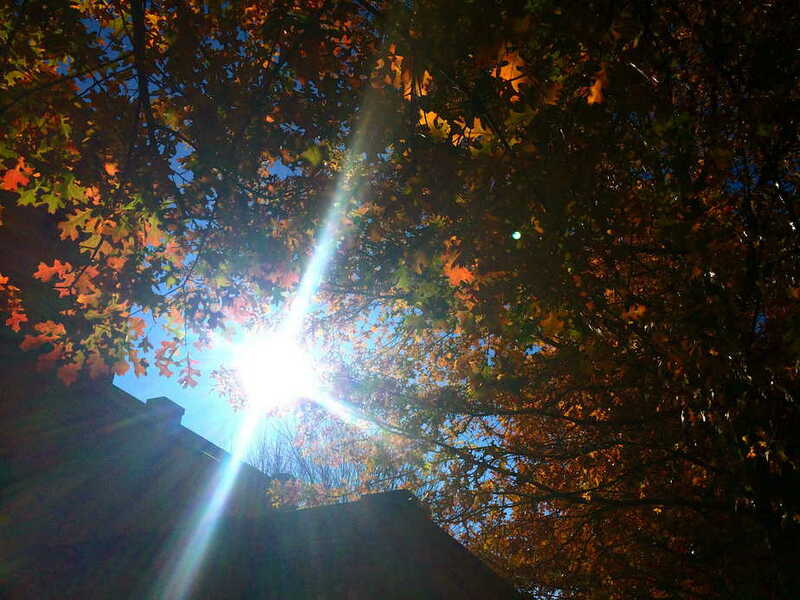 The days grow shorter and we will soon miss the abundantly warm embrace of our sunny, southern skies. The nights will grow colder, slowly slicing away at our skin, nipping and then biting our tender toes and ears. The barren branches will solemnly stand witness to the dissonant chord struck in our hearts, as the dimming light of winter threatens our primal need for security. Winter intimidates even the most finely housed of individuals. To many the twinkling lights of holiday cheer are reminders of a home one doesn’t have, and the blanket that had offered a taste of rest will be unable to cushion against a frozen ground. What I am wondering tonight, is can this fading warmth actually stoke our abilities? Will we manage to take inspiration from the dying leaves burning in bright defiance against a cold, stark sky? Can the challenges of winter create champions of us all? I almost wrote that I hope it does, but I once read that hope is based on fear. And while fear is a strong motivator, it does not provide nourishment; action based solely on fear will be short lived. So even if fear be the initial spark, let us stoke our bonfires with compassion and sustain these flames on a love of community. And just to pour a little herbal fuel on the fire, please enjoy these recipes for herbal holiday gifts. 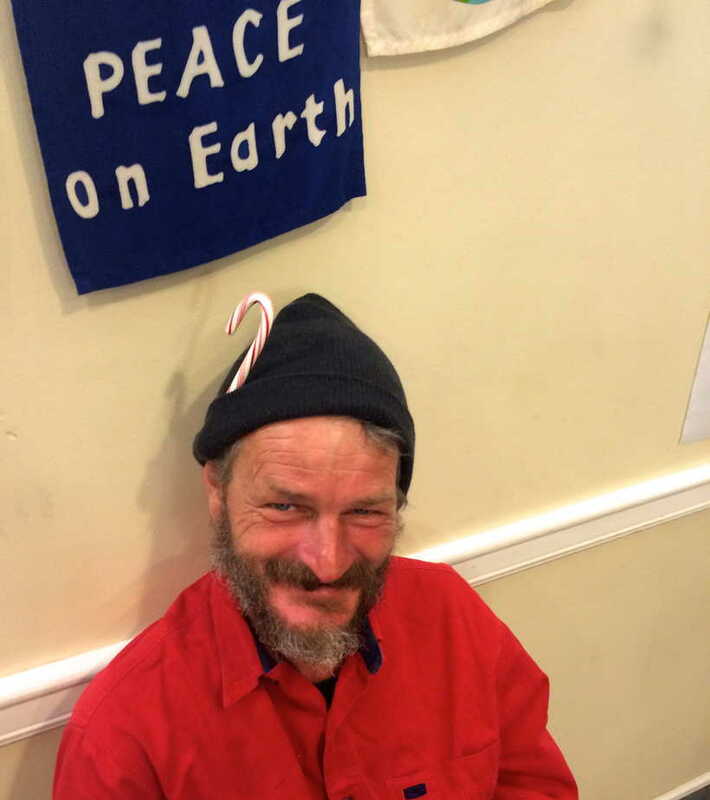 May you be warmed by cinnamon and ginger from your hearts to your toes. For full December Herbalista Happenings click here.